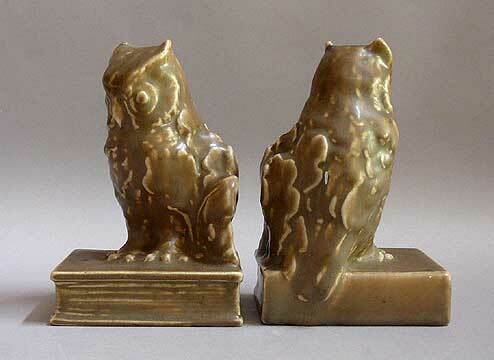 Each modelled as an owl perched on a book. Brown caramel glaze. Model #2655.